Here is the response from Mix.com,why they will not post Breitbart or many of the websites here on WRH. As per our Terms of Service, we reserve the right to exclude any content form our service at our discretion, and without explanation. In other words you are deepstate and you are censoring Free Speech. Pathetic.I don't agree with much on Breitbart but they unlike you believe in the Bill of Rights! Mix.com the successor to stumbleupon will not post many of the websites here like Govt Slaves and others. Contact them. I like putting everybody's stuff up. She's gone and I can listen to my music LOUD again!!! Freedom!Got the Dog too! We are loaded for Bear! Yesterday I had 171 followers on Mix.com. Today I am up to 1588 followers. You posters let me know if you are getting any traffic. I am all Mixed.com up! Learning how to use Mix.com.Will keep stumbling until they close up June 30th. Have already transferred 85,000 plus posts over to Mix.com. Had 110,000+. They wont transfer followers over and I had 1700+ so it will take awhile to rebuild traffic. Here is the new site. The old stumble site is good for another month. Here is that URL. Thanks for all the stumbles guys and gals. I have somewhere between 100 million and 500 million page views in 7 years. I hope I did some good. Could use some help. Thanks. Stumbleupon is going out of business June 30th 2018. None of the followers transferred over though. Almost 2,000 of them. It will take awhile to rebuild traffic. So if anybody wants to follow the new page at Mix I sure would appreciate it. Madness! Or something wicked this way comes. Looks like maybe a coordinated 3 pronged attack on The Donbass,Syria and Iran is coming soon. This will be seen as the Official start of WW3. It was an Aircraft Salvage yard,not an active combat airbase! The US bombed a Syrian Airforce salvage yard.Most of the planes they hit were decommissioned hulks being stripped for parts and then the airframes are chopped up for aluminum scrap. This was a farce that is in the process of destroying Trump. They got some old Mig-23's that are 40+years old and that was about it. Brother Nathanael seems a little testy these days. But who isn't! * Haley is an imbecile. * Trump cannot be trusted, his word is full of worms. * Trump is a tinderbox, a dangerous demagogue. * There is not an ounce of integrity running through Trump’s veins. * Jared Kushner has his day in the sun with Trump. But every dog has his day and pisses on the hydrant. America is that hydrant. * Bannon wrote many of Trump’s campaign ‘anti-NWO’ speeches. Trump never believed a word of it. * Tillerson is a weakling. He caved to big business to allow homos to wreck the last remaining wholesome institution in America, the Boy Scouts of America. * Mattis and McMasters are both war criminals yet run the Jew-enabled war machine wreaking havoc all over the world. * Mattis has the eyes of a zombie. He’s a metaphor of the hollowing out of Jewmerica, a country with one foot and three toes in the grave. * Jewmerica is the most hated country across the board. There are several stories going up on alternative media websites that can't be verified. The child dying because protesters blocked an ambulance is one. The black guy making a threatening selfie threatening our new President elect is another.I checked that one out,it was dated March 2nd,2016. No pic. No mention of the election or Trump.No mention of BLM. The ambulance story needs a little who,what,when and where! Snopes is already on this like a fly on poop. The MSM has a disinfo discredit the alternative media cointelpro op going on right now and you people and webmasters are falling for it like a big hungry fish! Looks like the Cowboys have won round one. At the beginning of the trial FBI misconduct came out. During the trial it became obvious that there were more federal informants and agent provocateurs than defendants. The feds didn't even reveal all their ci's and ap's.The cook was a fed. The guy in charge of the firearms and ammo was a fed, on and on ad nauseum. At the very end there was a retired BLM guy on the jury who was hanging up the jury and the jurors and judge got rid of him and that is what led to the acquittal. The prosecution was timed for a conviction a couple of weeks before the election with the aim to hurt Trumps support nationwide. Didn't work.The jury nullified the governments' crime under color of law. A lot of politicians in Oregon are worried,especially the Governor who ordered the Oregon State Police to kill LaVoy Finicum. Putin isn't crazy! Hillary is! I don't know if or when Putin will release those emails. How ever if I were him I would think this,"How do you blackmail an insane person drunk with power." You can't! Hillary is a loose cannon. She has gotten away with this email thing for now. Releasing more emails after she becomes president wont stop this looney. Putin I don't think can take that chance. Very simple.On the Right We have freedom.On the left we have tyranny. Fascism,Communism,Socialism,Nazism,Monarchy ect.,ect. are on the left. Freedom is on the right end. The conventional and false spectrum has tyranny at both ends. We used to be a Free Enterprise country. Not Capitalism,not Socialist,not Fascist. Basically a hit piece on Trump from obvious neocons! BERLIN – Ross Kaminsky has been running the morning rush hour show on TalkRadio 630 KHOW in Denver for all of two months, but he’s already in hot water with many of his 50,000 listeners: They like Donald Trump, and Kaminsky doesn’t. This is the guy who followed the money trail and "definitely" pinned 911 on Al Qaeda and Osama Bin Laden. Same guy running the Bundy arrests. Seems to be a lot of Mormons with connections connected to this Malheur Mess! Director James B. Comey has selected Gregory T. Bretzing to serve as special agent in charge of the FBI’s Portland Division. Mr. Bretzing most recently served as an inspector in the Inspection Division at FBI Headquarters in Washington, D.C. In September 2000, Mr. Bretzing was promoted to supervisory special agent in the Criminal Investigative Division’s Money Laundering Unit at FBI Headquarters. Following the September 11 attacks, he was instrumental in tracing funds used by the hijackers to carry out the attack. He attended Brigham Young University and received a bachelor’s degree in accounting. Banned by Alex Jones and Infowars! Well Alex Jones and Infowars have banned me from posting comments. So far only the lefties have banned my comments at several sites like Salon. And by phony disinfo sites like Russian Insider. I hit the bigtime being banned by Infowars....sort of! Found this on Alex Jones! Just had to give the guy some of his crap back! Hey Kurt and everyone reading, if you want to know the source of all the infowar bashing and hatred toward Alex, look no further than supporters of a website called whatreallyhappened.com known as Rivero's rangers. They bash infowars for the upcoming money bomb, yet they are always asking for hand outs and donations while their hero broadcasts his show from his bedroom. They also bash the products yet he sells colloidal silver... Their hatred is fueled by the success of Infowars, period! There is a good guy over there called "alexmark" who runs a site called investment watch blog. Have a great sunday show today guys! I know this will shock readers at WRH. I think I have discovered a diabolical conspiracy. Our humble,modest and lovable Webmaster Mike Rivero is actually Eddie Van Halen. What this means,I haven't a clue! I gotta get my head around this!Check out pic#4! Warning! Warning! EU Times and Sorcha Faal! The EU Times is where many Sorcha Faal pieces are sanitized so people will post them. Yesterday Friday the 25th of September I was listening to Mike's interview with Gordon Duff. Mr. Duff floored me in the last minute or so of the show when he said he would like to throw out our Constitution and Bill of Rights and replace them and our Constitutional Republic with a parliamentary democracy like they have in merry old England. Just like the NWO boys want to do! At the beginning of the interview Mr. Duff started to promulgate the no plane hit the Pentagon theory and Mike brought him up short on that. Mike didn't have time to dispute Mr. Duff on the outrageous statement he made at the end of the interview as he snuck it in just as the show was ending. The phony interview Charlie Sheen did with Obama and Alex Jone's hyping it as the greatest most important story he has ever covered seems to have blown up in his face! Comments at Infowars are still closed down. 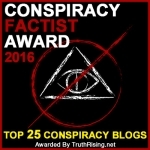 Unfriendly blogs are using the hoax as a hammer to beat 911 truth. It would appear that this was a dvd promotion and nothing else. The first posting of the interview contained no disclaimer.Hundreds of posters believed Charlie Sheen actually interviewed Obama. When posters started getting wise to the hoax,comments at Infowars were shut down and as I type this they are still shut down. There are currently 3 users and 770 guests online. Next Stop On The War Train – Iran, Venezuela Or North Korea?